LONDON • Roy Hodgson is giving serious consideration to starting Marcus Rashford in England's friendly against Australia today after deciding to rest Harry Kane and with new doubts surrounding Daniel Sturridge's fitness. 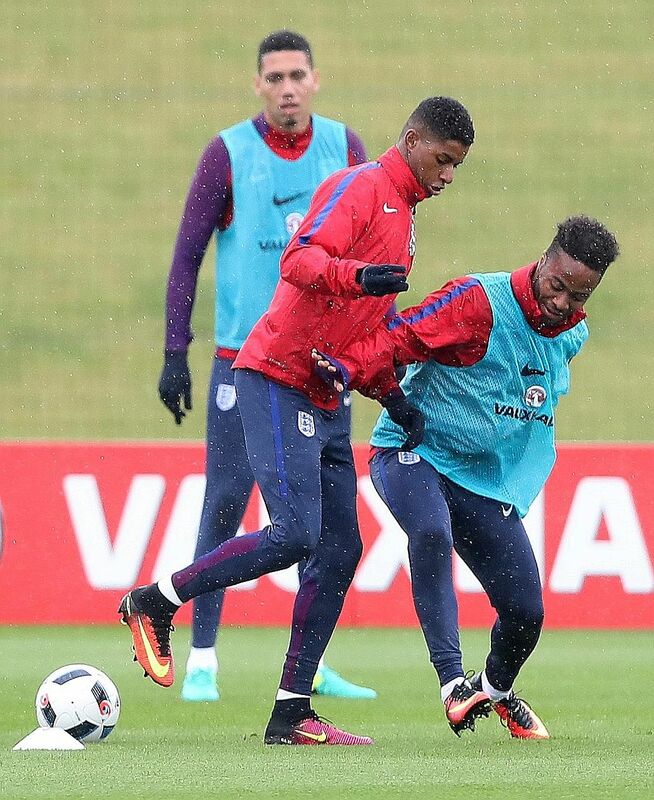 Sturridge, blighted by longstanding calf issues, missed England's latest training session. The timing counts against the Liverpool striker as Hodgson had been planning to give him a starting place in the Australia match at Sunderland. Gary Cahill was also unable to take part in England's workout at Manchester City's training ground. But Sturridge is the greater concern ahead of Euro 2016 given the amount of football he has missed over the past couple of years. He had previously described himself as "good to go" but he will have to be assessed by England's medical staff to see if he can play at the Stadium of Light. Hodgson, who must whittle down his squad from 26 to 23 by Tuesday, is already without Jamie Vardy for this game after the Leicester City striker was given special dispensation to miss the match because of his wedding. And the England manager believes that Kane should be rested because of the forward's gruelling schedule over the past two years. Kane went through last season without a break, racking up 50 appearances for Tottenham Hotspur as well as winning nine international caps. He spent the previous summer playing in the European Under-21 Championship and Hodgson is mindful about not over-exerting the player who is expected to lead his attack in France next month. Captain Wayne Rooney is available again but might also be rested. Hodgson has already confirmed that Rashford, 18, will make his debut today and the England manager is now contemplating whether to include him in his starting line-up only 92 days after the teenager made his Manchester United debut. The indication is that there will be an experimental element to England's line-up. Hodgson is also keen to give Jack Wilshere more game time after his eight-month lay-off with a broken leg. Jordan Henderson also needs involvement, while fellow midfielder Danny Drinkwater is expected to feature at some point.